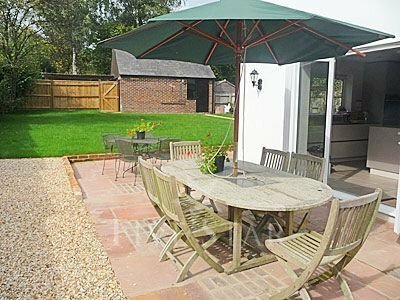 Ideally located in the heart of the New Forest National Park, this holiday cottage, one of a pair, is set back on the road between Brockenhurst and B.. 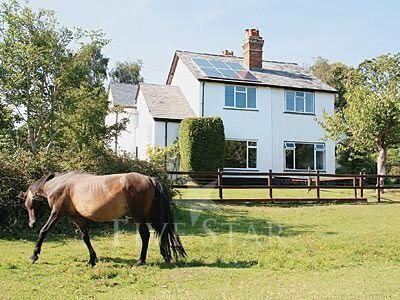 Ideally located in the heart of the New Forest National Park, this holiday cottage, one of a pair, is set back on the road between Brockenhurst and Burley with wonderful open views over the forest. The popular town of Brockenhurst is just a short walk away with its pubs, restaurants and individual shops. 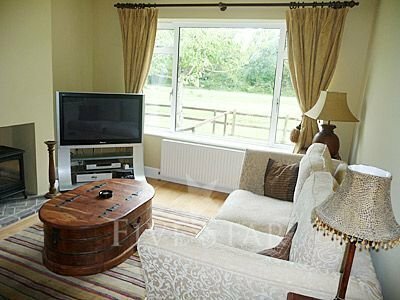 This holiday home offers very good quality finish with the modern open-plan kitchen/dining room also with a sitting area and the main living room is ideal for cosy winter evening with its wood-burning stove. From the gate there is access into the unspoilt forest and heathland, with wandering ponies and cattle which the New Forest is famous for. Miles of beautiful walks are available or guest can explore by car or bicycle - discovering some of the appealing villages, attractions and gardens, such as Beaulieu Palace, Abbey and Motor museum, Exbury Gardens and Bucklers Hard. The yachting town of Lymington is on the edge of the New Forest which has good pubs, individual shops and a popular Saturday market from here you can also take day trips to the Isle of Wight. Enjoy nearby Hengistbury Head, Bournemouth and Poole with its miles of golden sandy beaches, the beaches at Mudeford, a charming fishing village lying at the entrance to Christchurch Harbour and the centre of the local fishing industry, where fresh fish can be bought from the fish stall. If you are interested in maritime history, head for the ports of Southampton and Portsmouth with museums and historic dockland. 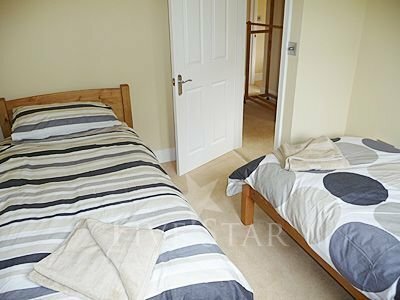 The property is less than a mile from Brockenhurst railway station, connecting to London Waterloo (95 minutes), Bournemouth (20 minutes) and Weymouth (80 minutes). Excellent local golf course. Riding stables nearby. Shop and pub ¼ mile. Living room with wood-burning stove and wooden floor. 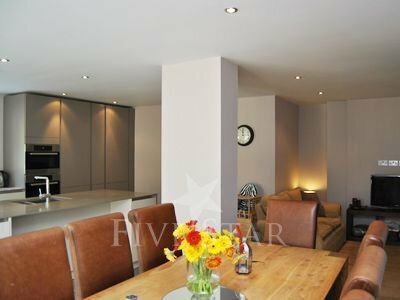 Large, open-plan dining room/large well-equipped kitchen with French doors and tiled floor/sitting area with wooden floor. Utility. Four steps to fully-tiled bathroom with over-bath shower and toilet. Separate toilet. 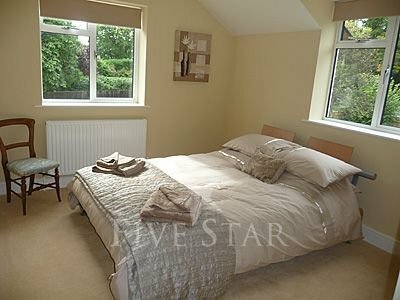 First floor: Two double bedrooms, one with 5ft bed and en-suite bathroom with toilet. Two twin bedrooms. Shower room with toilet. Thank you for sharing your stay experience at One Culverley View. We will publish it as soon as possible. Overall we had a fantastic family holiday in this property. 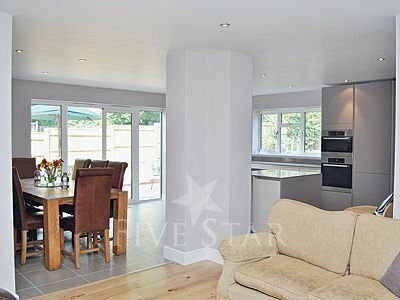 The fixtures and fittings at the property are to a very high standard, with a great open plan kitchen/dining/tv area which is ideal for families/groups. The owners also make sure that they supply a welcome pack of essentials such as milk,tea, dishwaher tablets etc. We chose this property due to its location, size and the fact we could take the family dog. On arrival we were blown away by the luxurious, excellently furnished and equipped accommodation. 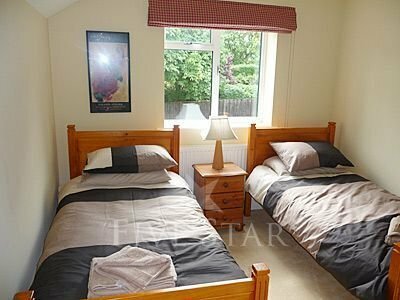 Lots of space, four good sized bedrooms, three showers and four toilets! The kitchen/diner was something else and the enclosed garden super for al-fresco dining (barbeque provided) and the dog. The owner has put a huge amount of thought into the property and pretty well everything is provided that is needed by way domestic needs. Brockenhurst has all the shops needed for day to day purchases and lots of eating establishments - from takeaways to haute cuisine. 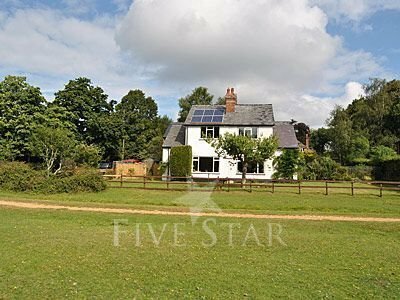 Excellent walks on the doorstep and further afield and easy access to the coast and Isle of Wight. Thoroughly recommended. This is a lovely property in a fantastic location. It was very tastefully furnished and comfortable. The owners were really friendly and helpful and the bottle of wine left for us was much appreciated. I really don’t have any negative comments and would highly recommend it - we will definitely return. There are 3 pubs within walking distance and certainly the two we used we happy to allow dogs inside the bar area. They also had large gardens or anyone lucky enough to experience the beautiful weather we enjoyed. This is a very luxurious house, very spacious, state of the art kitchen which was a joy to cook with, as there was eight of us cooking could have become a chore. Would recommend this property highly, have had many cottages and this was a dream in every sense of the word. Such a small niggle but from the owner’s point of view might be an idea to get separate dryer as this would I am sure save on the electricity used as drying the clothes took an age to do. This was a high quality accommodation. The kitchen/dining/living space was exceptional and perfect for socialising together. Plus the separate lounge with additional TV great for giving the kids their own space too! 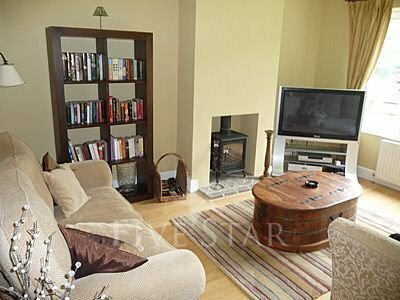 The location is brilliant, with Brockenhurst only a short walk away and the forest on your doorstep. A really super property. A wonderful house that feels like a home. Semi-detached but we did not hear the neighbours at all. This was my parents first holiday for 5 years and the house made it even more special for them. Our 2 dogs were very happy in the fully enclosed garden. Dogs are only allowed in the kitchen area but there is plenty of room for them. Lots of great walks for the dogs - try North Weir Road which is 2 roads down to the right of the house. The Burley Road is not at all busy and with the double glazed windows you cannot hear it at all, so a very quiet location. The whole house was immaculate and very clean. We were lucky with the weather and spent lovely afternoons on the patio area in the south facing garden. Plenty of books, DVDs and games for all ages. I would certainly recommend this house if you want a spacious, beautifully finished hi-tec house in an ideal position just a 5 minute stroll to the village and shops. A wonderful family holiday! A lovely house, we felt very at home and could have stayed forever! The ’snug’ corner of the kitchen is perfect. The living room is wonderfully cosy with the logburner going. We brought a dog crate with us, but there is one available in the utility room. We had a fantastic family holiday. 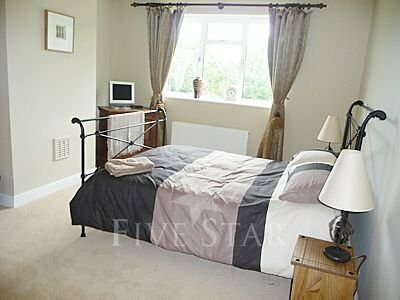 Brilliant location as you are able to walk to local shops and into the forest. The house is extremely luxurious, we felt very spoilt on holiday. Highly recommended. We moved into a home rather than a property to let. 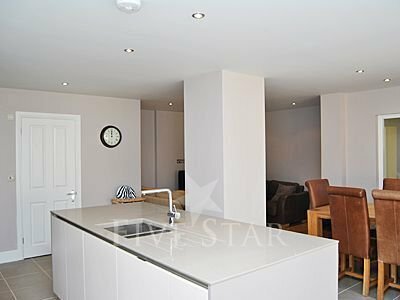 The layout of the property is highly intelligent and easy for a group of different people to live in. The interior design is modern, elegant with cosy aspects, and the latest in kitchen equipment. The proprietor was exceptionally helpful. We had a wonderful time. Probably one of the best rental properties I have stayed in. Everything (and I do mean everything!) was provided and all the facilities were in first class condition.Particularly impressive was the amount of tea, coffee, juice, loo rolls, washing up liquid etc etc etc that was provided for us. This makes a huge difference. The owners (whose names I have forgotten) gave us such a friendly welcome and I have no doubt would have been there the second there were any problems - which there weren’t! 10 out of 10 on all fronts!